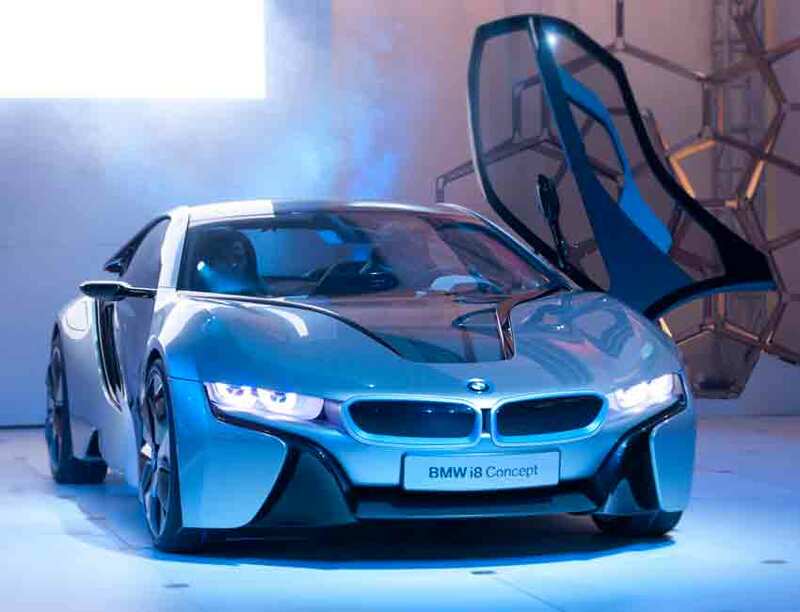 The press calls the BMW i8 “The sports car of the future.” When the i8 debuted at the Frankfurt Motor Show in 2013, it was one of the most anticipated concept cars taking its form in the history of BMW. The BMW i8 is an impressive model combining the sustainability of an environmentally conscious hybrid with the look and feel of a Sports Coupe. It took more than six years of research and development before its official debuted. 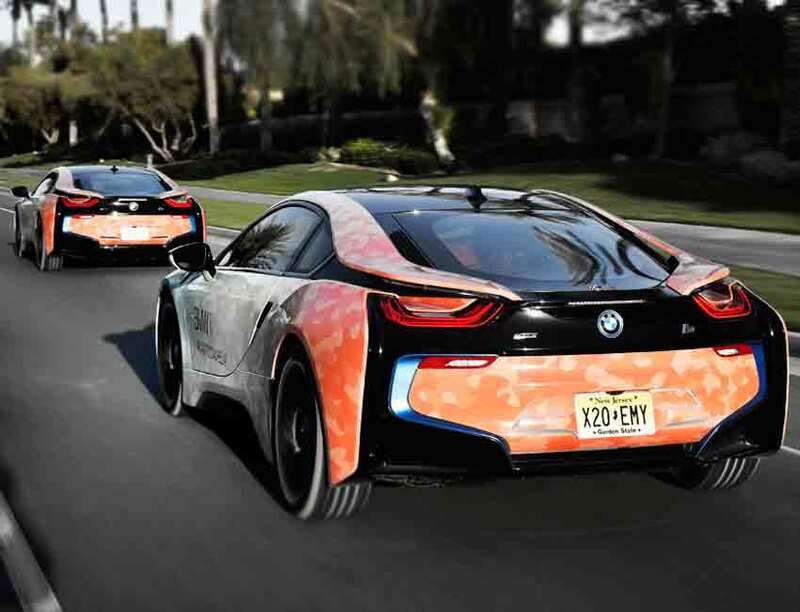 The goal was to create a visionary car with a positive impact on the industry and BMW is taking a stance on social and environmental responsibilities. Also see our complete guide to the BMW i8 maintenance. How much is a BMW i8? The latest model year 2017 BMW i8 price is $143,400 MSRP for the Coupe model and an astounding $163,300 MSRP for the model year 2019 BMW i8 Roadster (Convertible) just released in the US market during spring of 2018. The cost excludes taxes, destination and handling charges. On the bright side, the BMW i8 hybrid may be eligible for federal and state incentives where qualifies. The model year 2014 or the first-generation BMW i8 cost was $135,700 MSRP plus applicable tax, destination and handling charges, as well as any applicable fees in the US market. They say you should not judge a book by its cover, but the cover alone had us convinced. 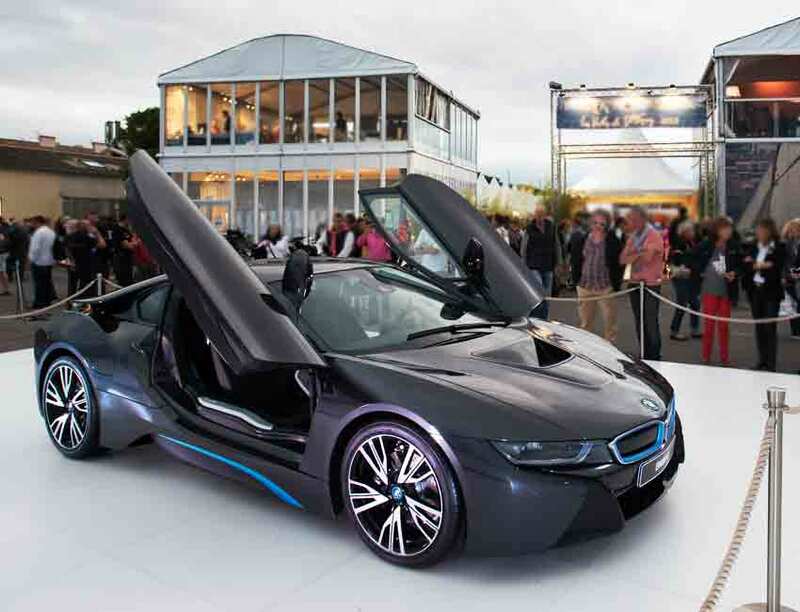 The new flagship BMW i8 stirred up much commotion in the industry. The BMW i8 is the first premium plug-in hybrid combining electric power and a TwinPower Turbo engine exclusively developed by the BMW Group. In today’s world, every company has a social responsibility to protect the environment. The i Series represents BMW’s value and mission to build a brand that proactively preserves the environment, reduces pollution, and prevents the fast spread of urbanization. BMW has taken home the title of “world’s most sustainable automobile manufacturer” in the Dow Jones Sustainability Index for eight years in a row. That is an achievement hard to overlook. The BMW Group has been notorious for producing cars with big engines, but this eco-friendly hybrid i8 has given a whole new definition to BMW’s “sheer driving pleasure.” BMW came up with the plug-in hybrid, all-wheel-drive concept by combining the TwinPower Turbo technology developed for their infamous M models with the sustainable eDrive technology. In the BMW i8, the front wheels receive their power from the electric motor via a two-stage automatic transmission. The rear wheels, on the other hand, are driven by gasoline engine via a 6-Speed Automatic Transmission. This is the perfect combination of efficiency and power. The idea of the EfficientDynamics is an innovative technology that the BMW Group introduced a decade ago to enhance performance and efficiency of all BMW vehicles. The i8 is a model of such excellence. It perfectly delivers the dynamic drive concept, the lightweight, aerodynamic designs, as well as the energy efficiency. The BMW i ConnectedDrive service is an extension of the BMW EfficientDynamics. Owners can create an account through the online portal www.bmw-connecteddrive.com and register for a personalized profile to access a range of online services and vehicle status of their cars. The ConnectedDrive provides information regarding the vehicle, such as location, driving range, battery level, charging stations, helpful tips, service messages, various status alerts, concierge service, and much more. Individualized ConnectedDrive information can be synced to your vehicle and accessed through the complimentary My BMW Remote App (US) from your smartphone. The app can perform a variety of services just like the web version, and it can remotely initiate charging of the i vehicles when connected to a charging station. The BMW 360° ELECTRIC is a solution package offered to the i Series owners. It allows the battery pack to be charged at home or any charging station quickly and conveniently. The ChargeNow Card is a cashless charging and payment card offered by BMW to charge i Series at public charging stations and mobility services such as MyCityWay and ParkatmyHouse. To recharge the BMW i8, owners can utilize the charging cable provided by BMW to plug into a standard household 110-volt power outlet. 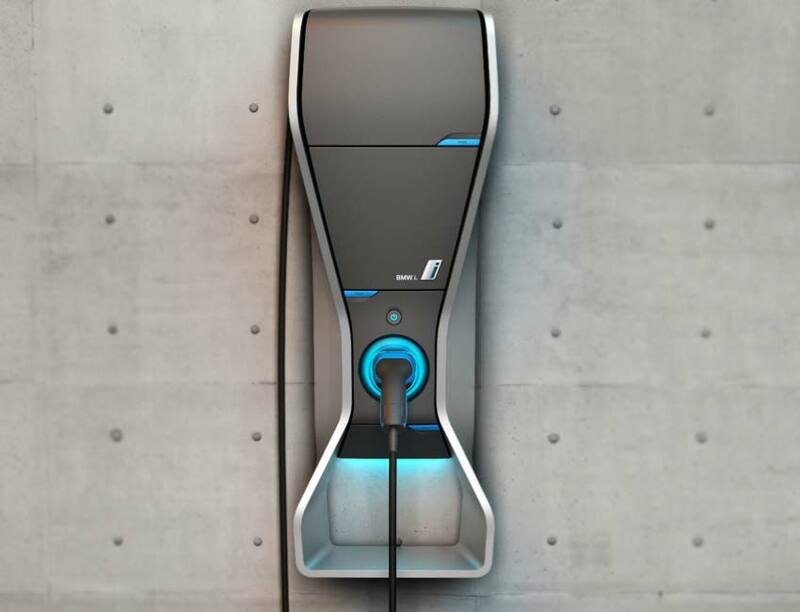 Charging can also be done at the BMW i Charging Stations or at any public charging station. A standard 110-volt power outlet will charge the battery of the i8 from empty to full in around 3.5 hours. The 220-volt power from electric charging station shortens the charge time to about 1.5 hours. The 11.1-gallon capacity gasoline tank of the BMW i8 requires premium unleaded gasoline. One of the safety features in the BMW i8 is the heavy utilization of Carbon-Fiber-Reinforced Plastic (CFRP). Its sturdy characteristic offers the necessary protections for passengers in crash tests. CFRP’s strength is comparable to steel, and it makes the vehicle perform well under side impact. The impressive CFRP Life Module absorbs forces from impact with minimal distortion. Safety is ensured with the front airbags, side airbags, head/curtain airbags for all seats. In addition, the three-point inertia reel seatbelts with belt stoppers, belt tensioners, and belt force limiters are provided for all seats. The battery mounted at the center of the i8’s underbody is in a position where the force of impact is statistically the least during an event of a crash. 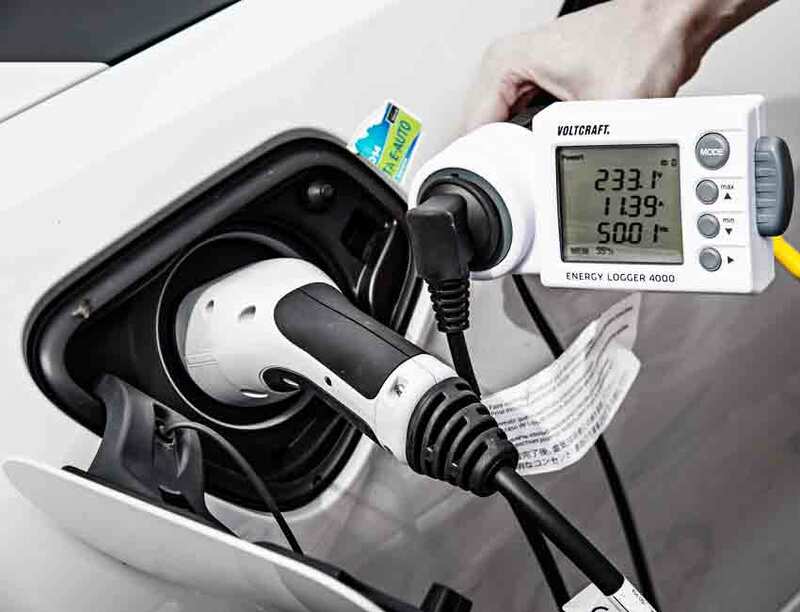 For extra safety measurements, when the passenger restraint system is triggered, the battery will disconnect from the high-voltage system, and the connected components will discharge. The BMW i8 rocks a low stance, and the race-inspired 2+2 seater makes a striking impression. Weighing in at just 3,285 pounds, the BMW i8 measures at 184.6 inches in length, 76.5 inches in width, and 51 inches in height. The suggestive proportion and power exhibition of the lengthy hood flows into the roofline and the rear overhang. The enlarged wheelbase comes in at 110.2 inches fitting the 20-inch Light Alloy front and back wheels. Composed of recycled, light, but sturdiest materials, the BMW i8 achieves a balanced weight distribution with a lowered center of gravity and enhanced safety. The BMW i8 encompasses a total output of 357 HP, with 228 HP from the rear combustion engine and 129 HP from the front electric engine. It has an impressive 420 lb-ft of torque, of which 236 lb-ft is from the combustion engine, and 184 lb-ft is from the electric engine. The BMW i8’s top speed is at 155 mph, and it completes the 0-60 mph dash in just 4.2 seconds. That is only 0.1 seconds shy of the BMW M4 with the 6-Speed Manual Transmission. The hybrid runs at a remarkable EPA estimated 76 mpg, and the maximum combined range for casual driving is up to an EPA estimated 330 miles with a full tank of gas and a fully charged battery. The BMW i8 focuses on performance, functionality, and efficiency. So, we want to know if it drives as good as it looks. The i8 is fitted with a 1.5 Liter, 3-Cylinder Internal Combustion Engine. It produces 228 horsepower, which motorizes the rear axles. The engine is equipped with TwinPower Turbo technology based on the infamous BMW M Models. The gasoline-fueled engine consists of a high-performance turbocharging system and direct high-precision gasoline injectors paired with VALVETRONIC Fully Variable Valve Control. The configuration comes with a 6-Speed Automatic Transmission and top speeds at approximately 75 mph. 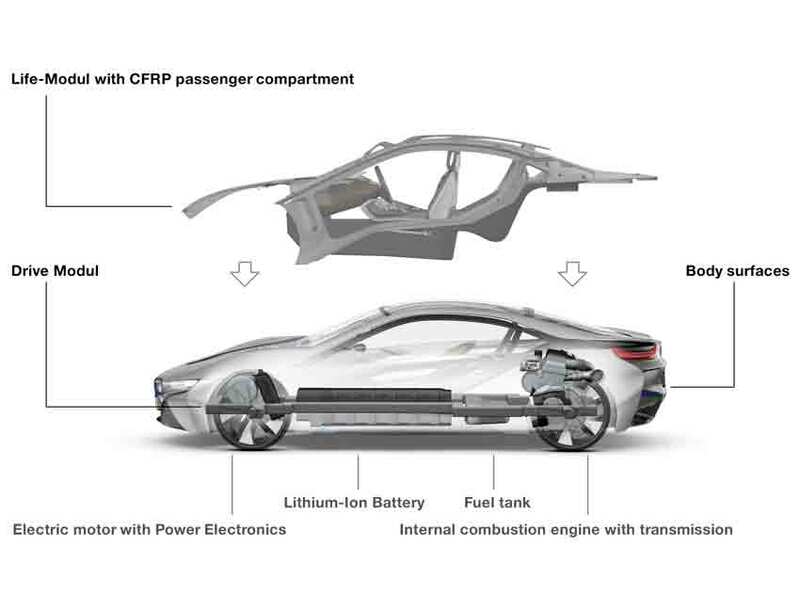 The eDrive hybrid electric motor is exclusively developed for the BMW i8. The motor produces a maximum of 129 horsepower, top speed is at 75 mph and can run the vehicle independently through a lithium-ion high-voltage battery with liquid cooling. The advantage of the electric motor is the instant and consistent availability of power from 0 to any range of RPM. The electric motor provides added boosts of power surges to the combustion engine during acceleration. The capacity of the electric motor and battery are designed to ensure that the i8 can run and maximize efficiency on electric power alone. The maximum driving range in the all-electric mode is up to an approximated 22 miles (right… because it is not the same concept as a Tesla). The energy management system is part of the BMW eDrive that manages the Drivetrain. It is developed exclusively for the BMW i8 to deliver energy efficiency. Simply put, it is the operating system that optimizes the interaction between the electric motor and the battery to maximize performance and minimize fuel consumption. 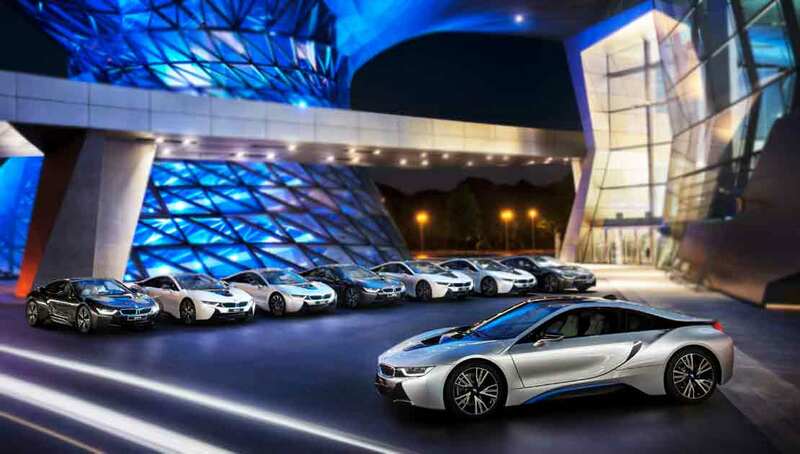 The Electronic Drive (eDrive) is the core technology behind the BMW i8. The specially engineered, a high-power lithium battery is equipped with a cooling system that prolongs the battery life expectancy and assists in fuel conservation. 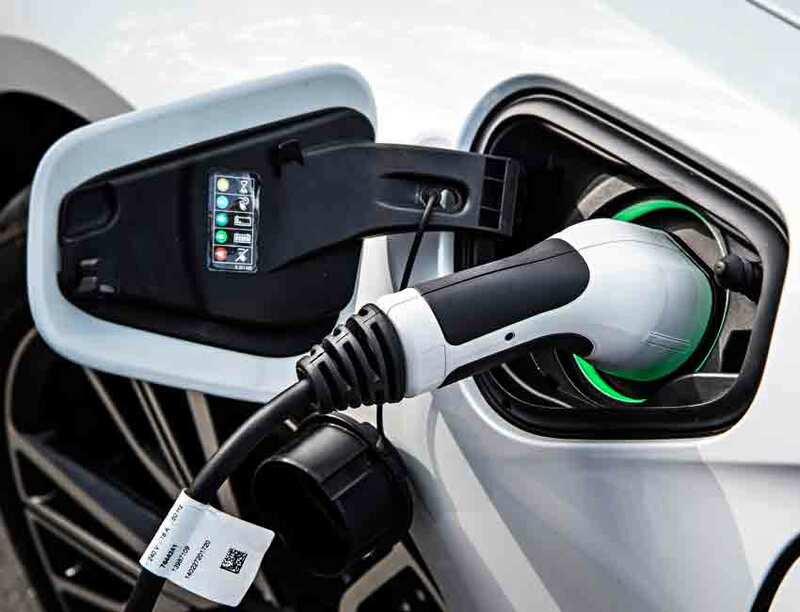 During the electric mode, the car is managed by the Intelligent Energy Management System exclusively developed by the BMW Group. It is an arrangement that controls the drivetrain system with enhanced, permanently-excited synchronous electric motor. It also allows the vehicle to operate at zero emission, which is virtually soundless and still can deliver power boost for acceleration when needed. The BMW i8 creates the ideal balance in the interactions between the electric and combustion motor. It possesses the agility of a Sports Coupe and the energy efficiency of a hybrid. When “Route Guidance” is activated, the energy management system integrates with the navigation to analyze the trip which controls and fine-tunes the vehicle operation. This process can ensure the system outputs the best possible energy conversion, fuel consumption, and driving comfort. In the latest BMW models, the Driving Experience Control switch is where drivers select the appropriate driving mode suitable for different driving styles. 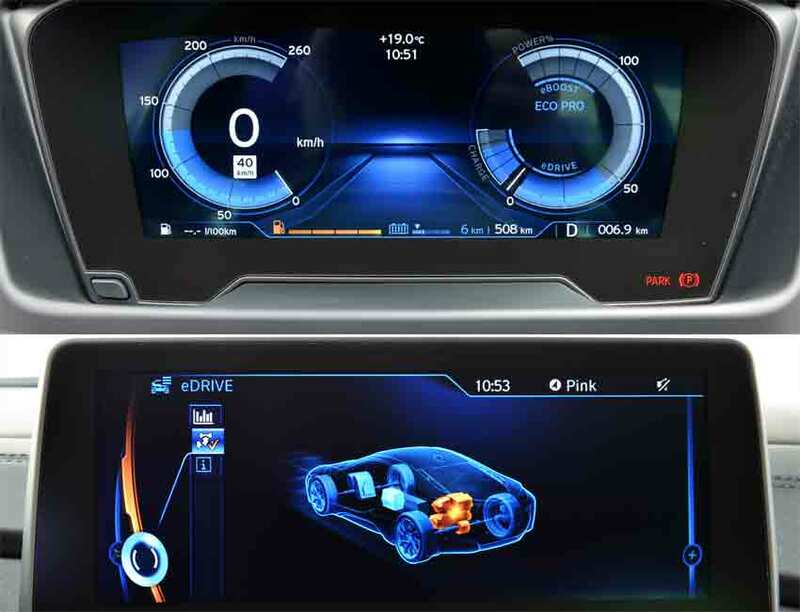 Along with the eDrive, the BMW i8 allows five individual driving modes to achieve fuel saving or driving performance. Contingent to the driving mode, the car can be a rear-wheel drive, front-wheel drive, or all-wheel drive. The COMFORT mode is the default driving mode when you power up the i8. It is the most balanced mixture of energy output from both the combustion engine and the electric motor. The current speed is displayed in the instrument panel instead of the rev counter. In this mode, the electric motor controls the overtake and the acceleration from idle, while the combustion engine automatically kicks in at higher speeds. The seamless cooperation between the combustion and electric engines creates the perfect harmony between energy efficiency and driving luxury. So, if you are going for a long drive, COMFORT mode is a good choice. The eDrive in COMFORT Mode is purely electric drive. Drivers can enjoy the perks of getting around in a soundless and pollution free hybrid without sacrificing the aesthetics and characters of a Sports Coupe. When eDrive is activated, combustion engine does not automatically take over until electricity is nearly exhausted. The SPORT Mode is where the aptitude of the BMW i8 unleashes. It is when the unprecedented driving pleasure of a sports coupe unveils. Combustion and electric engines are synchronized to their full potentials to ensure maximum torque, speed, and stability. In SPORT mode, extra power boosts can be supplied by the electric engine to assist the combustion engine. It maximizes acceleration and power performance while the battery recharges during deceleration and braking. The SPORT mode can be initiated in Automatic Drive “D” or Sequential Manual gear. In manual shift, the gearshift can be executed with the paddle shifter on the steering wheel or with the gearshift stick. The ECO PRO mode is the most energy efficient hybrid mode. ECO PRO includes an additional efficiency display. This hybrid mode efficiently adjusts the consumption of electronics equipment in the i8 such as the heating, cooling, and fuel expenditure. This mode maximizes the driving range and fuel saving. The ECO PRO in eDrive Mode enables the most energy saving with the most range output supplied by electric power alone. Combustion engine will only assist during the sudden intense throttle engagement or in an extremely low battery situation. 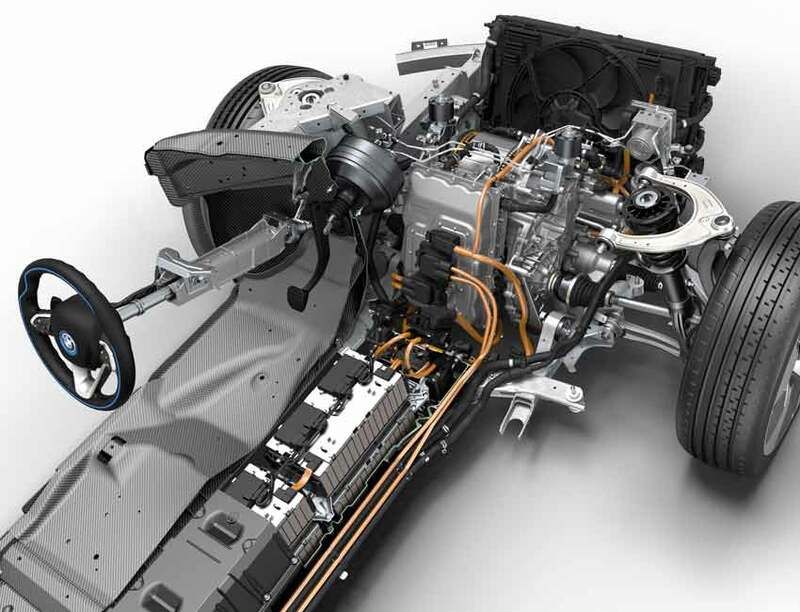 The powertrain management ensures the least energy consumption on all levels during the i8’s operation. During overrun, the intelligent energy management system can dictate the most appropriate driving status with the current driving situation. The BMW i8’s chassis and its suspension system are composed of a double-wishbone front axle and a five-link rear axle design. All axels are constructed from lightweight aluminum. The weight saving construction enables precision and comfort in steering at any speed. The multi-stage Dynamic Damper Control system integrated within the automatic transmission ensures the i8’s smooth running even at low RPM. The electronically managed dampers deliver exceptional and optimal shock absorbing controls under any driving mode. This system delivers the best operating dynamics, driving comfort, and energy efficiency. The Dynamic Stability Control is the stability system that continuously monitors the i8’s wheel rotation, steering angle, vehicle speed, lateral acceleration, brake pressure, and yaw rate. If DSC detects oversteering, understeering or wheel spin, the system will automatically apply braking to individual wheels to restore stability. The DSC system includes Anti-lock Braking System (ABS), Cornering Brake Control (CBC), Dynamic Brake Control (DBC), Brake Assist, Brake Standby, Start-Off Assistant, Fading Compensation and Brake Drying function. The Dynamic Traction Control (DTC) is a sub-function of DSC and can be activated by a single switch. 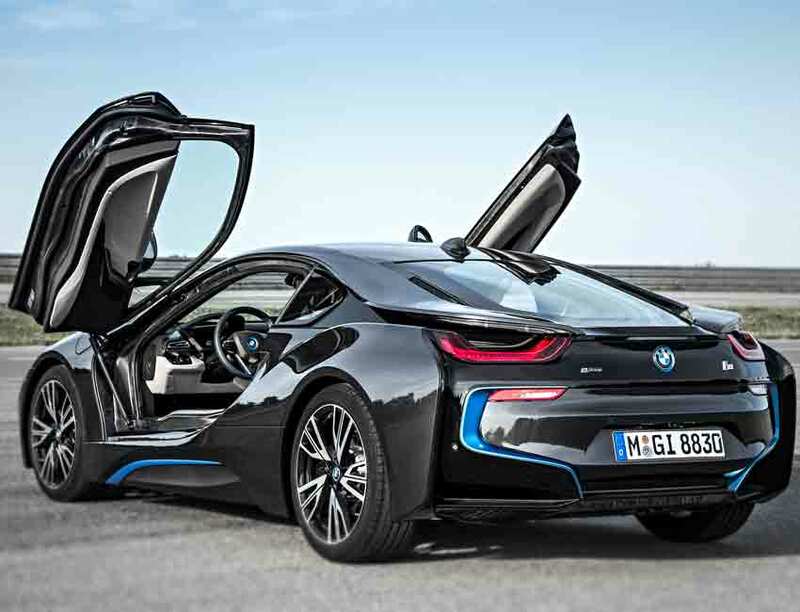 DTC in the BMW i8 raises the threshold of DSC. It provides better dynamics during hard-corner turns and allows for a greater slippage when traveling on less desirable road conditions such as snow, rain or loose gravel. As part of the chassis components, the standard 20-inch forged aluminum wheels are a special fit to the BMW i8’s aerodynamic concept. The three-piece Carbon Fiber Reinforced Plastic (CFRP) wheels engineered exclusively for the BMW i8 are optional upgrades in certain markets that permit this assemblage. The biggest advantage of the CFRP wheels is its rigidity and weight saving property which results in an approximate 6.6-lb weight reduction in each wheel. The CFRP is also the material widely used throughout the i8’s entire structure. Its lightweight and stiff characteristics make the car agile yet sturdy. The LifeDrive concept is unique to the BMW i series. It is made up of two components – the Life Module and the Drive Model. Both correlate closely to the balanced weight distribution, low center of gravity (below 18 inches) and the light construction concept of the BMW i models. The Drive Mode consists of all the drive and chassis technologies in the BMW i8. The Drive Module includes the aluminum body shell with a high-voltage lithium battery, power electronics, chassis, wheels, and structural as well as crash functions. Both the electric and combustion engines are respectively located in the front and back of the structure. The Life Module in the BMW i8 includes the Carbon Fiber Reinforced Plastic (CFRP) constructed, revolutionary designed, light-weight passenger cell. The architecture brings the perfect weight distribution to counter the weight of the battery and the engines. The i8 represents BMW’s concept of sustainable cars. Literally, the i8 looks like a high-tech artifact straight out of a sci-fi movie. The aerodynamic properties, balanced low stance, sharp race-inspired contour and superior technologies make this sustainable super coupe even more desirable. The BMW i8’s exterior boasts sports car appeal. The car has refined aerodynamic balance with an impressive drag coefficient (Cd) of 0.26. The i8’s body consisted largely of lightweight Carbon-Fiber-Reinforced-Plastic (CFRP) and recycled or manufactured aluminum using renewable energy. The BMW i8’s compact and futuristic design embodies a flowing “V-shaped black belt” concept. The belt design frames around the front hood and runs along the sleek rooflines to wrap around in the back. The overall striking impression created by the interweaving design makes the i8 bold and unique. 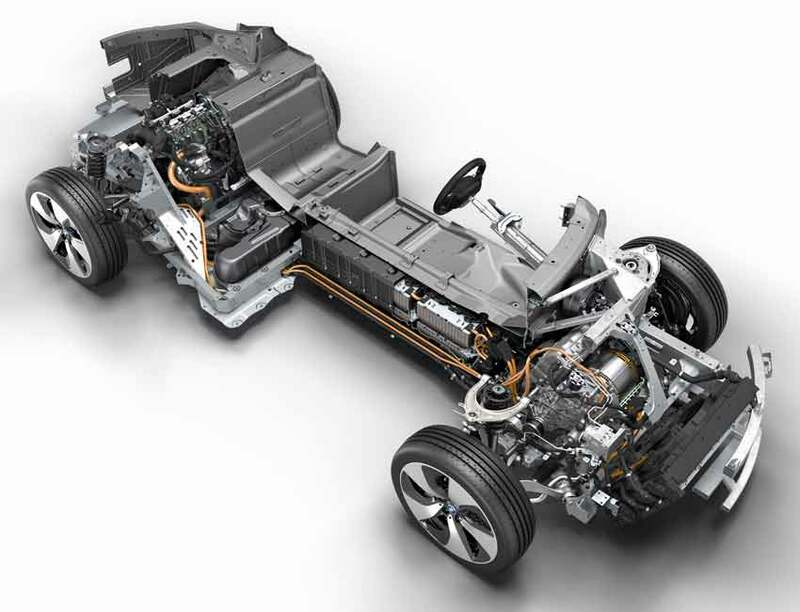 The overall wide and muscular contour of the BMW i8’s front bearing speaks performance. Extended wheel arches and aerodynamic Air Curtain in the front apron braced by the “V-shaped black belt” design creates depth and style. Blanked out front grilles in BMW’s signature twin-kidney style with full-LED headlights further enhance the aesthetics of the façade. The profile slopes perfectly, the airy, layered design of the bodyshell enhances the i8’s aerodynamic character. “Floating” roof pillars connect the i8’s front and back structure gracefully. Standard wheels and Tires come in as the 20-inch W-Spoke style 470 with mixed tires. An upgrade option is available in the Turbine 20-inch style 625 with mixed tires. The overall low profile of the BMW i8 keeps its body grounded. The rear silhouette is a demonstration of the i8’s performance and style. The uninterrupted “Black Belt” design embroiders the rear curves. Flared wheel arches and uniquely designed U-shape LED tail lights further accentuate the car’s physique. The rear glass window slopes down from the roof and opens to the compact five cubic feet trunk space. Owners have the option to purchase exclusively custom fitted Carbon Fiber travel set from Louis Vuitton made just for the i8’s trunk space. Talk about ultra-premium luxury. 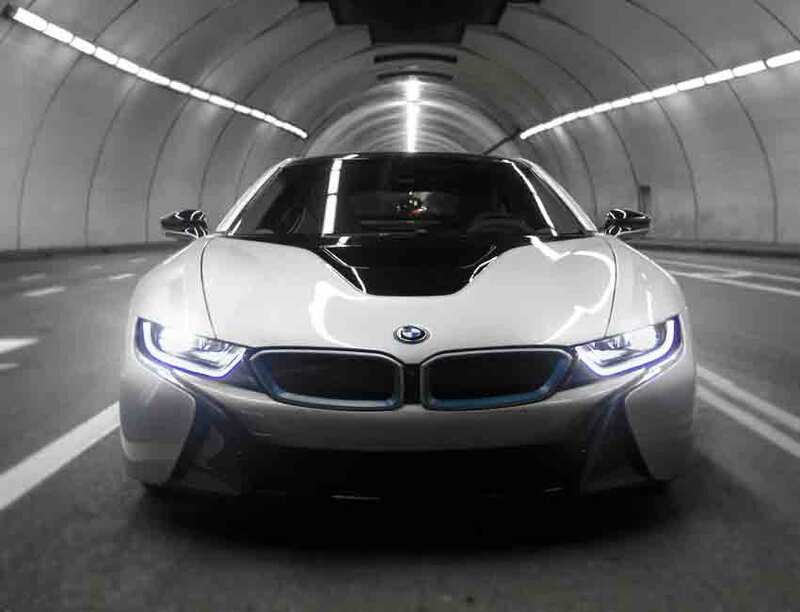 The front LED headlights in the i8 inherited the BMW i model’s distinctive U-shapes. The headlights consist of Daytime Running Lights with built-in indicators in full LED. An optionally added frame is available as an enhanced lighting feature which includes long-range, high-beam headlights with special Laser Light Technology. It features a pure-white, near-parallel beam. It improves visibility by illuminating up to 600 meters (approximately 1,968 miles) which is double the range projected by standard high beam LED headlights. Energy efficiency is also improved by approximately 30% with the new LED technology. Currently, the Laser Light technology is only available in Europe as the NHTSA (National Highway Traffic Safety Administration) has not yet approved the instrument for the US market. The BMW i8’s Scissor Doors that swing open upward are assembled with aluminum exterior and Carbon-Fiber-Reinforced-Plastic (CFRP) interior. The materials are 50% lighter than traditional constructions. These high-key doors come with artistically crafted interior handles ergonomically positioned for proper functioning. Chemically Hardened Thin Glass is another first-in-its-class innovation. All the windows on the BMW i8 are made from resilient materials utilized for smartphones. Two layers of the 0.7-millimeter (approximately 0.028 inches) thin glasses with an acoustic sheet insert result in a remarkably strong structure with reduced weight and excellent sound barrier abilities. Three out of the four special color combinations offered by the BMW i8 are created exclusively for the BMW i models. All paint combinations accentuate the distinctive V-shape black belt design and the “ring of glow” which surrounds the front twin-kidney grilles. The “rings” come in Frozen Blue or Frozen Grey to match different exterior accents. 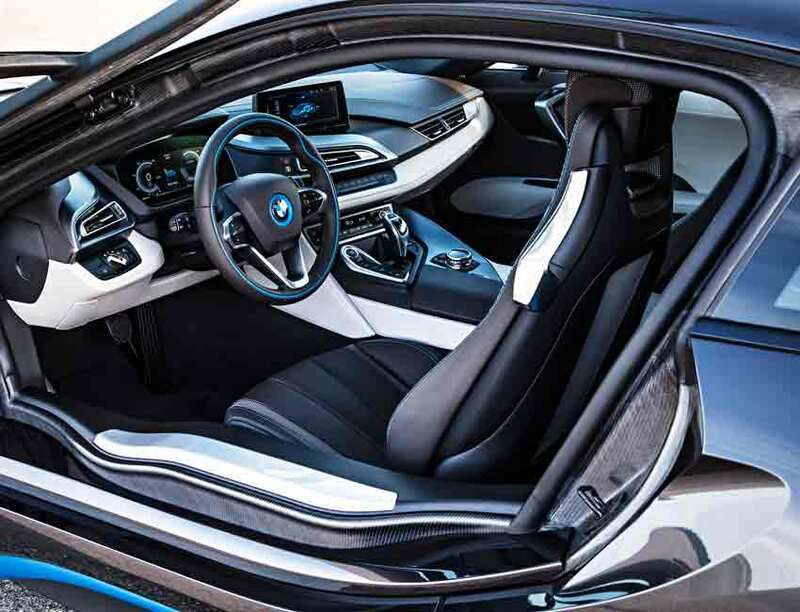 The interior of the BMW i8 is just as inspiring as the exterior. 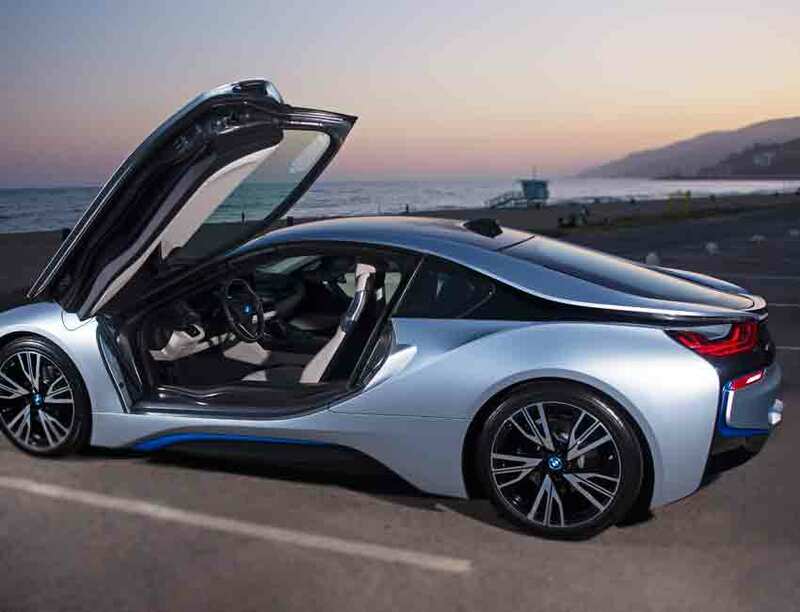 Starting with the sports car 2+2 seating, the i8 offers two front seats plus two backseats design. Due to the low seating design, passengers get into the car by “sliding” into the cockpit. Comfort is also exceptional. Although we wished that the seats come with lumbar support. However, the ergonomic low-seating arrangements are supposedly designed to hold the drivers in position even during sharp turns. 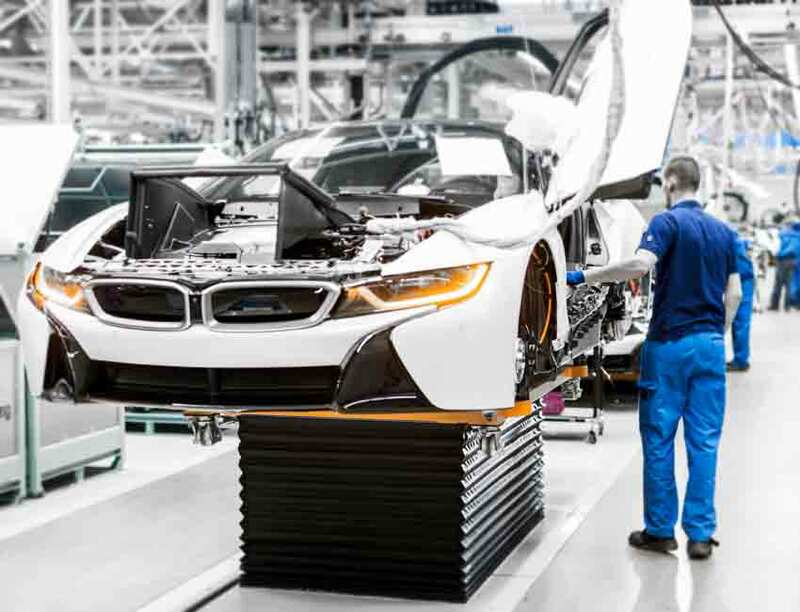 Built around the concept of sustainability, components of the BMW i8 mainly come from recycled materials. Carbon-Fiber-Reinforced-Plastic (CFRP) constructed passenger cells are lined with leather exclusively from Germany, Austria, and Switzerland. The leather was processed with natural tanning agents such as olive leaf extracts. 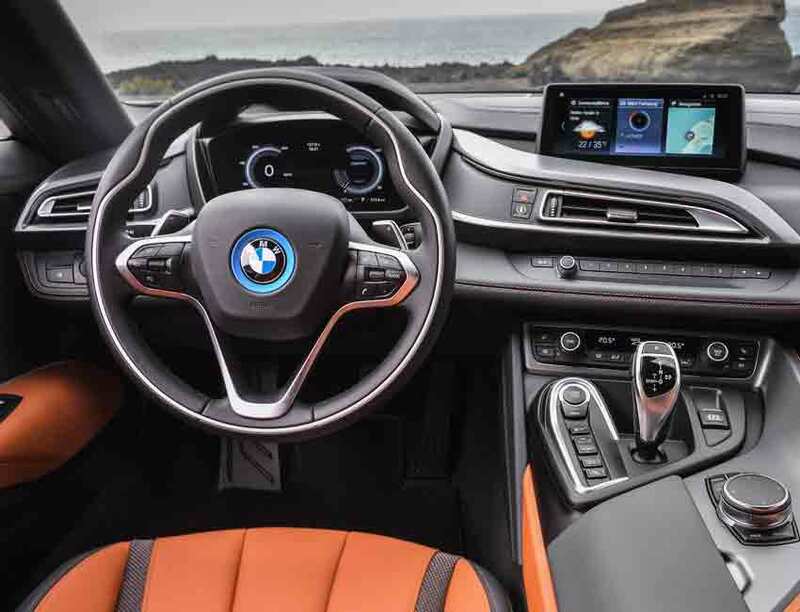 Elements in the BMW i8 such as the roof liner, floor mats, floor covering, and the stimulating accent strips are produced with an environmentally friendly process and resource. Recycled bottles, reusable materials from scrap vehicles, and other recovered materials are also utilized to construct various interior parts of the i8. Innovative foam plastic elements are used to construct the air conditioning ducts which further reduce vehicle weight. The look and feel of premium quality, however, were never compromised. BMW is reputed for their high standards and attention to detail. The unfaltering quality shows through in the thoughtfulness of the interior design. NESO comes with Signature Carum Gray Spheric Leather and contrasting black Nappa Leather. Other special leather elements are present on the instrument panel and throughout the interior. Two variations of the CARPO interior equipment are available. CARPO Light version has the Ivory White Leathered upholsters, doors, instrument panel contrasts, and perforated leather accents. Black Exclusive Leather and Nappa Leather cover the instrument panel and door lining. The steering wheel is accented with Pearl-Gloss Chrome, Satin Silver, and premium lacquered accent surfaces in dark grey Amido Metallic. CARPO Dark version is composed of Amido Black Perforated Leather with a combination of Exclusive Leather elements. HALO is the premium line with Exclusive Dalbergia Brown and Carum Grey accents. Contrast stitching, seat belts, and accents on the leather steering wheel are featured in the BMW i Blue. In addition, Amido Metallic accents appear on surface elements. Ambient lighting options in the BMW i8 bring added luxury to the driving experience, and of course, double points on the cool factor. 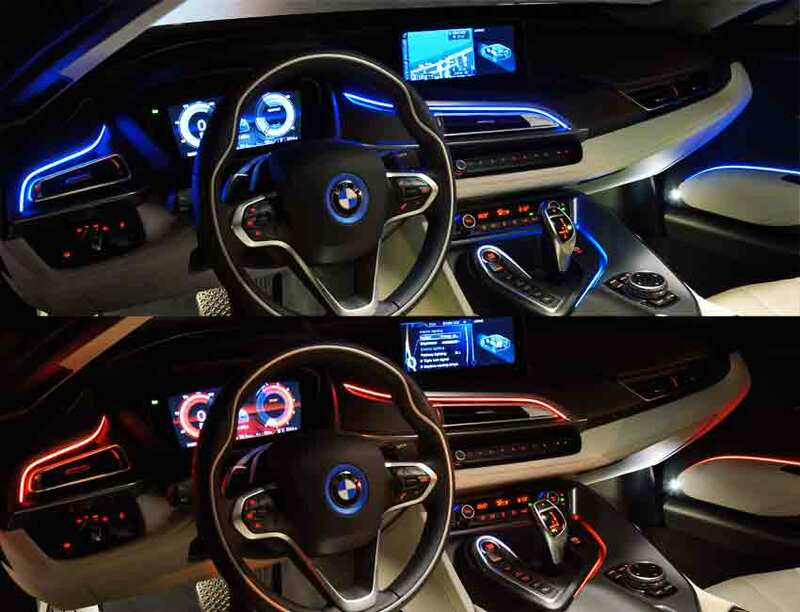 LED technology is utilized to light the interior of the i8, and color schemes can be interchanged between the EfficientDynamics Blue, Amber, or White. The subtle glowing effect provides a light source to the cockpit and creates a relaxing and ethereal atmosphere. 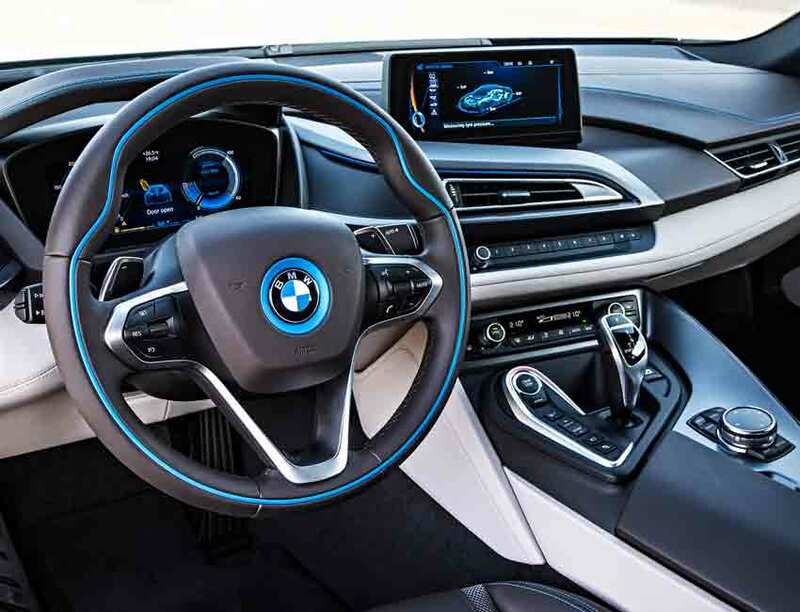 Instrument Panel in the BMW i8 is a magnesium-structured digital display showcasing two large displays aerodynamically designed like the rest of the car. Information related to the drive, power supply, speed, and vehicle status are displayed in various formats and colors during different driving modes. 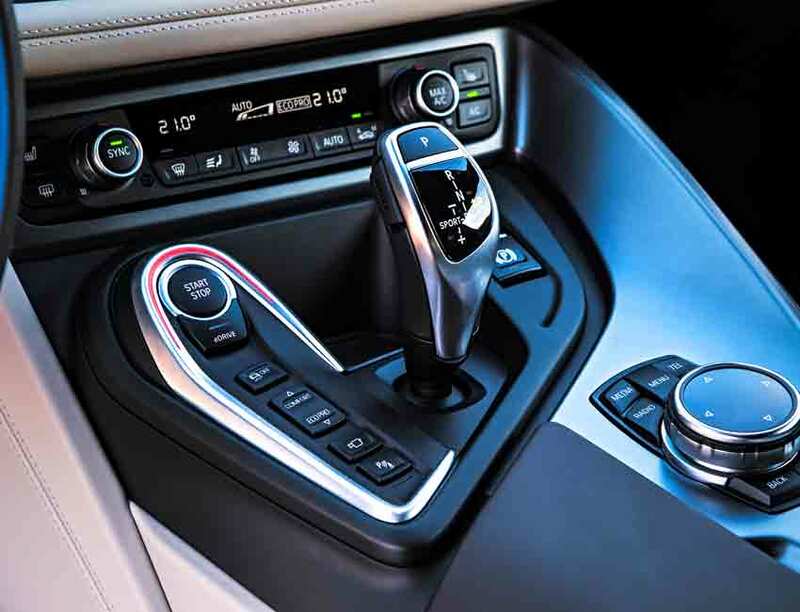 The Center Console in the i8 contains the Start/Stop button, eDrive button, Driving Experience Control Switch, iDrive Controller, and gearshift lever. All components are arranged for the convenience and comfort of the operation. Five different drive modes can be selected via the Center Console to suit a diverse range of driving styles. 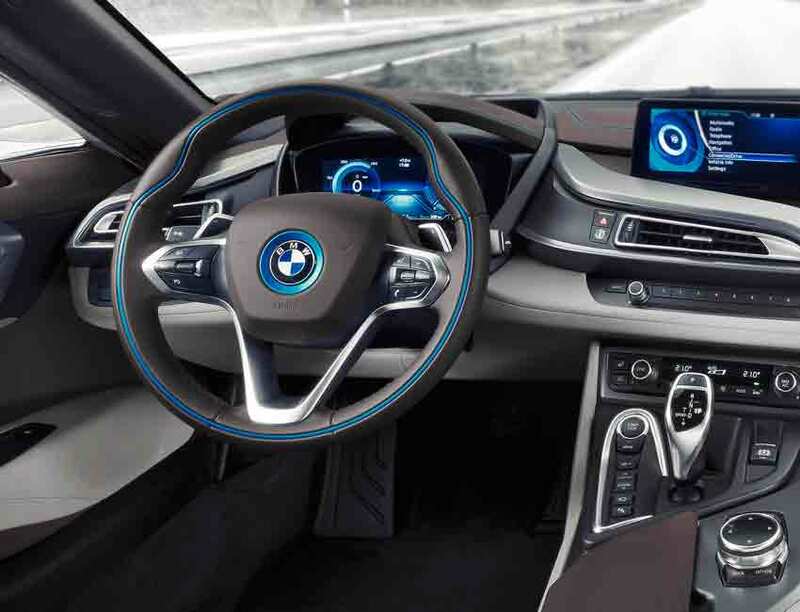 The BMW Active Driving Assistance in the i8 comes with Surround View and additional safety features including the Speed Limit Info, Frontal Collision Warning, Pedestrian Protection and City Collision Mitigation. 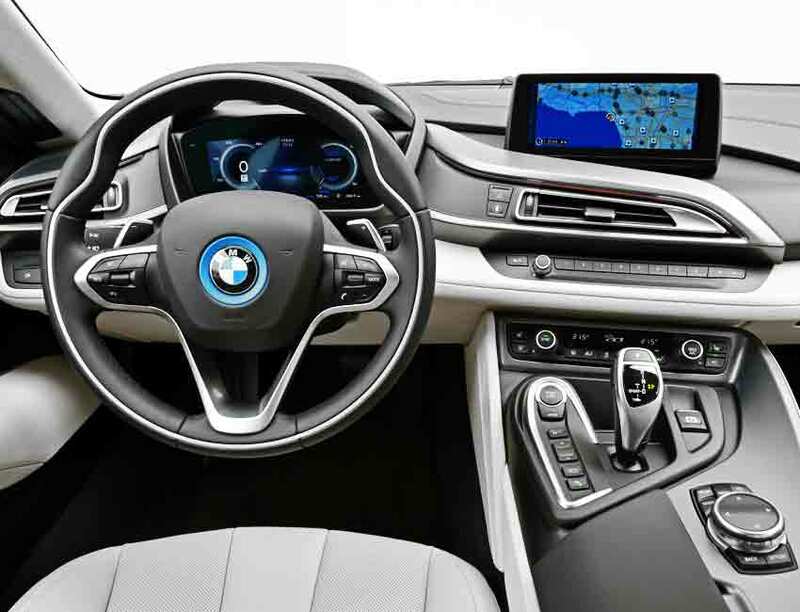 The latest BMW Navigation System in the i8 features an 8.8-inch control display, which syncs with the drivetrain controls for intelligent energy management. When the Route Guidance starts, the drivetrain management calculates the trip and ensures the best performance output with the least fuel consumption. Furthermore, Real-Time Traffic Info provides convenience when on the go. The Map Display function with Dynamic Range Display is part of the Navigation System. It utilizes a range map system (referred to as Spidergram) to indicate the sections of the journey that the car can cover with electric power only. The system also displays locations of the public charging stations for convenient battery recharge. An exceptional automobile must come with exceptional luxury. 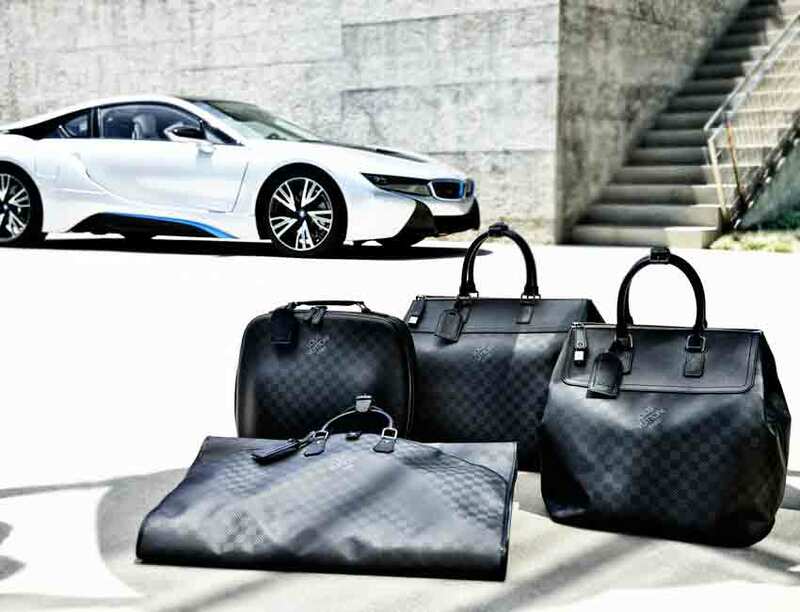 An exquisitely tailored line of Louis Vuitton 4-piece luggage set for the BMW i8 (bmwusa.com/BMWi8LouisVuitton) is made available to satiate exquisite taste. Constructed entirely of Carbon Fiber body and leather handles, the lightweight and highly resilient materials are durable and fashionable – a perfect fit for the BMW i8 concept. We are excited about the BMW i8’s outlook for sure. This is the start of an innovative transformation that impacts the future of the automobile industry. We cannot wait to see what the BMW i philosophy unveils in the years to come. 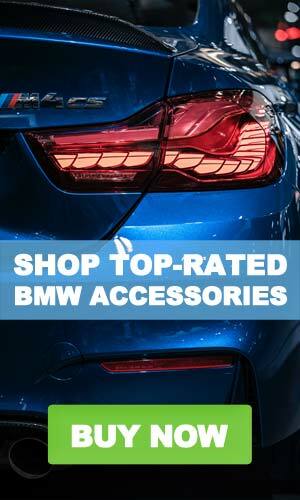 Also see our guide on the top-rated BMW Accessories. Copyright © 2018 BMWUX.COM All Rights Reserved.